The ICB Diploma: Public Sector Accounting course, is a more advanced course than the certificate course. It equips you with even more skills and knowledge to use in your future career. 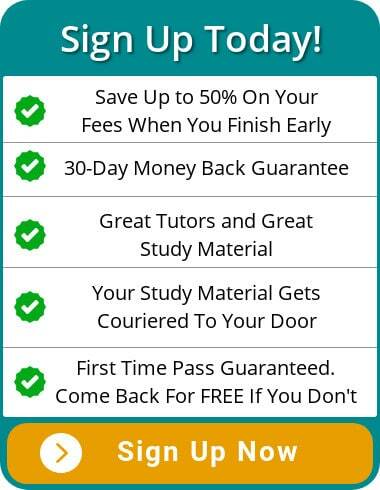 Once you have successfully enrolled with us, we will send you a package within the first 1-2 working days. In this package, you will receive a Skills Academy Welcome Pack as well as the first set of study material for the ICB Diploma in Public Sector Accounting Course. Look at the image below to see what you can expect from us. You will be awarded a Public Sector Accounting Diploma from FASSET. You will be awarded a Programme Completion Certificate from the ICB. 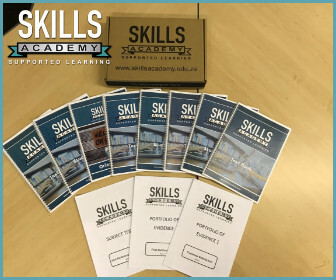 As Skills Academy values education and cares about our students, your completion award will be sent to you via courier so that you receive it as soon as possible and without any delays. 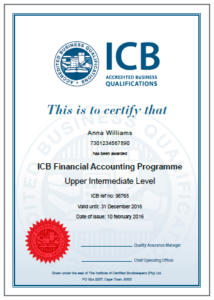 Below is an example of what your ICB certificate will look like.